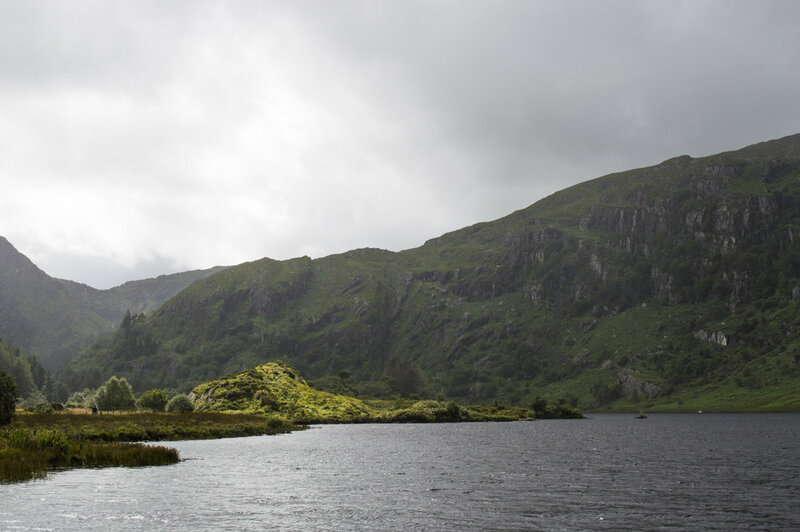 after enjoying our time in galway and experiencing the cliffs of moher, we packed our things and headed south to county cork! it was about a 2 and 1/2 hour drive and although we rented a bigger car, the three of us in the back seat still had to endure the ride with suitcases on our laps (so uncomfortable). we arrived at cian's cousin gobnait's front steps just before noon on saturday the 29th and i was so excited to finally meet the first of many family members! she greeted us outside and gave tina and i a warm hug - it was like we were her cousins too :) her house was adorable - neat and tidy and with plenty of room for cian, shane, tina and i (cian's dad, dan, was staying with his brother in the town over). cian and i had our own room, and so did shane and tina. we spent the first hour of our time getting to know gobnait and her boyfriend sean, and listening to shane and cian catch up with their cousin. i can't describe the happiness i felt in that moment - i had been waiting for this trip for so many years, and i was finally here in ireland with cian. 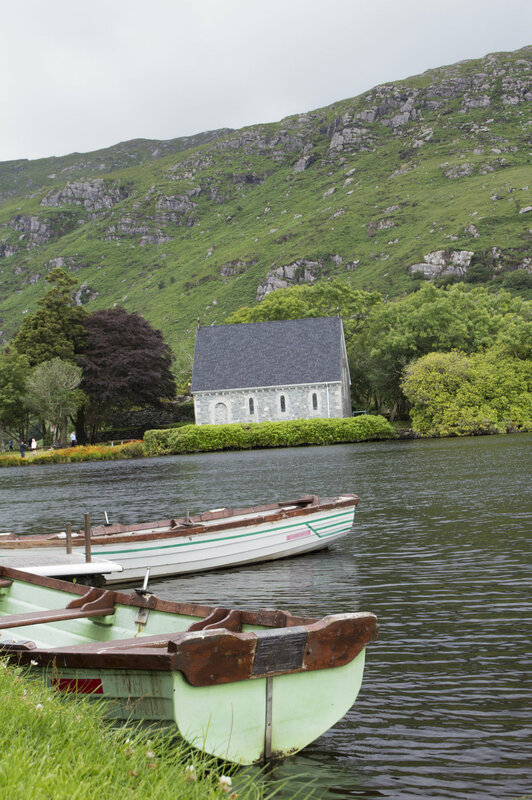 my favorite place that we went to was gougane barra. this is where cian was christened and i knew from the moment i saw pictures of it a few years ago, that i needed to see it for myself. 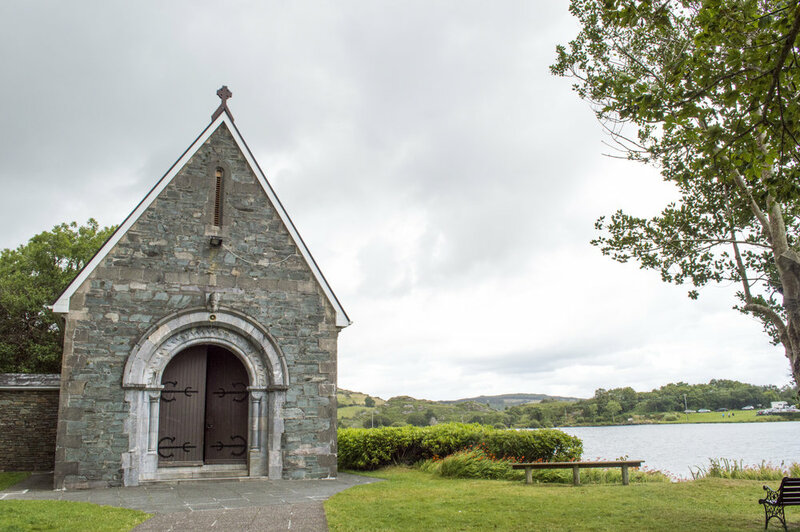 it was the home of the cutest little church i had ever seen, set up on the banks of a lake and surrounded by breathtaking scenery - i couldn't get enough of it! as we walked from the parked car towards the church, i snapped pictures of the view, and stopped to take a couple with cian. 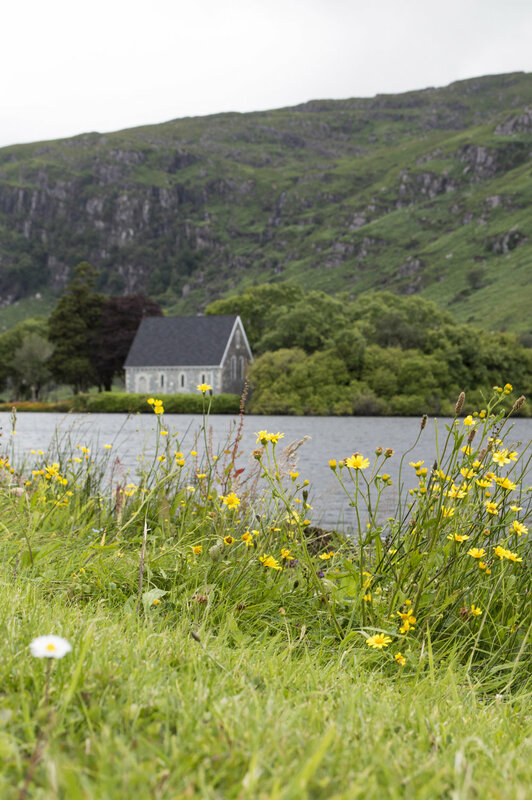 something i need to note: the air in ireland is so fresh and clean and crisp! that's something i really miss about it. anyway, we walked around for a while admiring and taking it all in, then went inside the tiny church to say a few prayers. i thought the outside was adorable, but the inside was even better. it was painted in a pale purple and the only light was provided by the stained-glass windows and candles that were lit on the sides of the first pews. i can't remember exactly but i believe there were only about five rows of pews on either side of the church (to give you some perspective on how small it was). it was so intimate, and as i knelt down to pray, i couldn't help but get emotional. a number of emotions came over me as i prayed and they consumed me. it just added to the experience and made it that much better - it is something i will never forget. if you ever find yourself in county cork, please go see this place for yourself it is incredible!